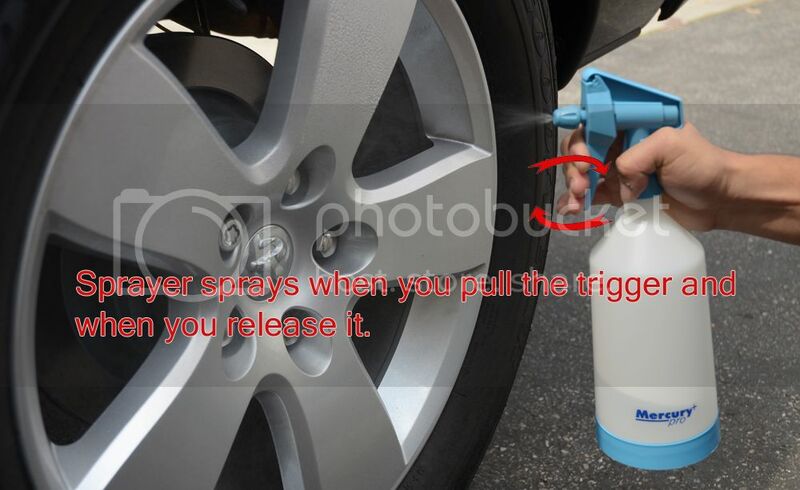 Kwazar Products – Chemical Resistant Durable double-action manual action Sprayer that sprays when you pull on the trigger and well as when you release the trigger. These extremely durable hand sprayers are imported from Europe and use chemical resistant VITON seals for long life and functionality. The Double-action pump makes spraying easier by releasing fluid on the release of the trigger as well as the pull of the trigger. Now you can apply your product with double the efficiency and the ergonomic design fits your hand perfectly. The fine mist to full stream adjustable nozzle makes the sprayers ideal for every project from HazMat clean up to household cleaning to fine misting for agricultural purposes. These are ultra-efficient, durable, high-quality sprayers. Kwazar Mercury Pro + Spray Bottles are professional grade, adjustable, double-action sprayers designed for professionals. 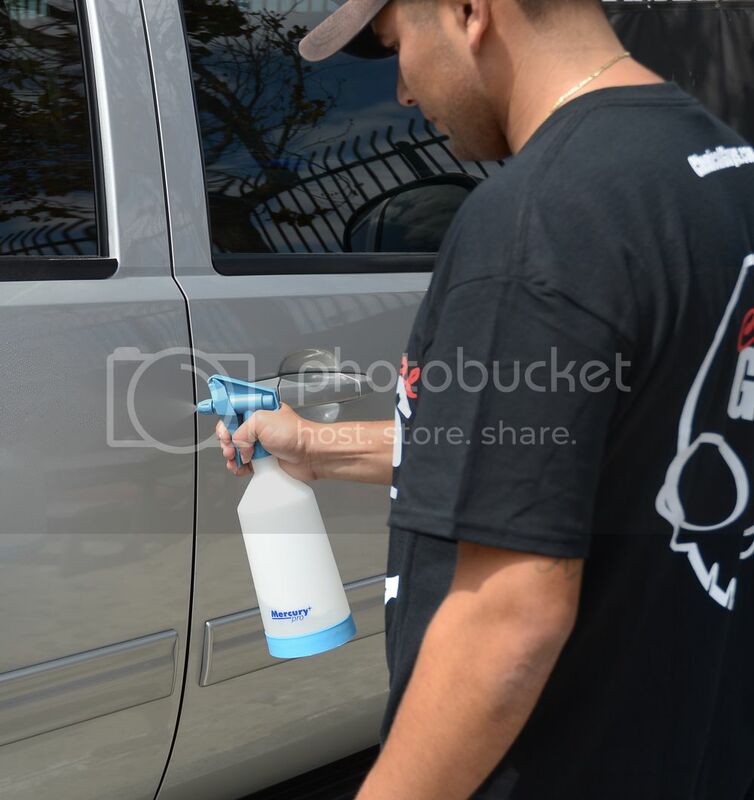 Kwazar Mercury Pro + Spray Bottles are designed specifically for industrial cleaning and detailing professionals as well as enthusiasts who demand the highest level of quality and craftsmanship . From Quick Detailers to window cleaners, wheel cleaners, all purpose cleaners and degreasers, clay lubricants, upholstery and carpet cleaners all the way to degreaser, Kwazar Mercury Pro + Spray Bottles are ideal for diluted your favorite and most used concentrated products. · Award winning quality construction is ergonomically designed. Proven reliability, unmatched quality and excellent aesthetics. What is a Double Action Spray Bottle? 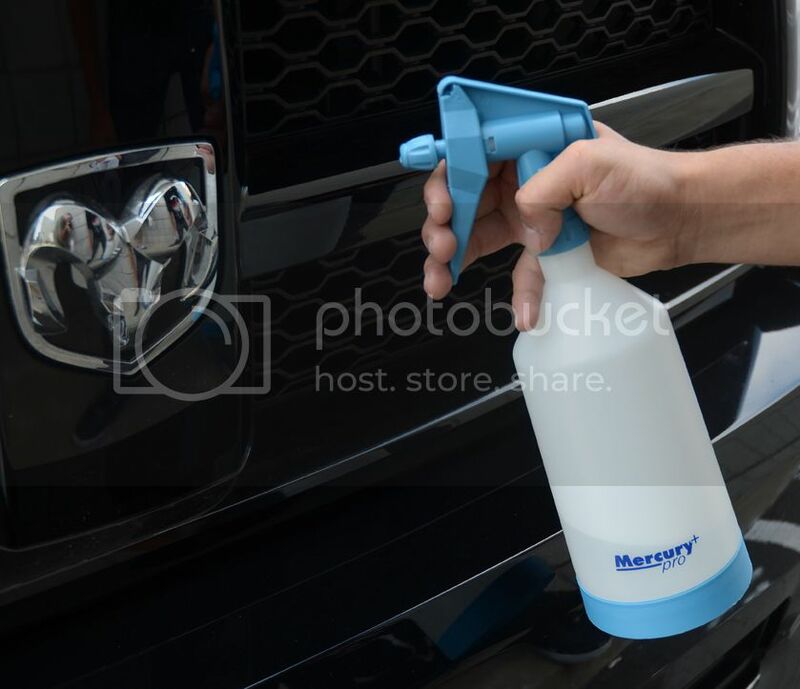 Every time you pull the trigger on your Kwazar Mercury Pro + Spray Bottle it delivers twice the product onto the surface. 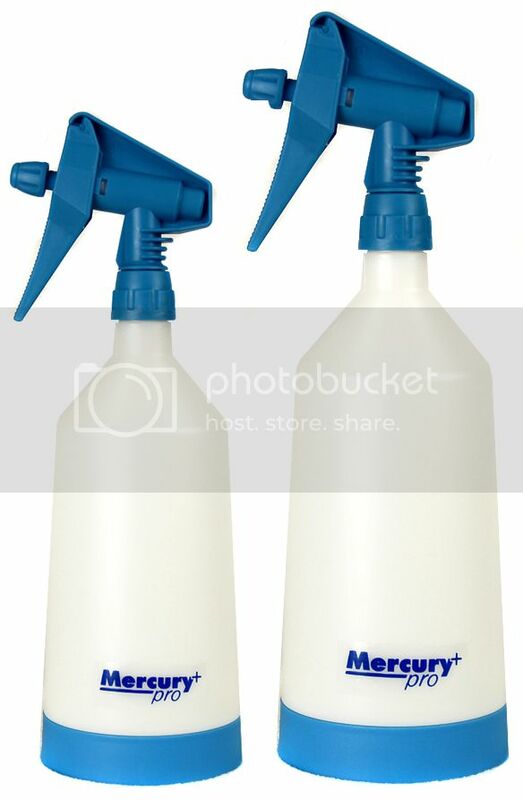 Kwazar Mercury Pro + Spray Bottles are made from the most durable materials. Developed for use with degreasers and cleaners all Kwazar Mercury Sprayers are assembled with Viton seals that provide excellent resistance to aggressive chemicals. Kwazar sprayers have a scale on the side of the bottle that makes it easy to dilute your favorite chemicals. Kwazar sprayers are adjustable to regulate the amount of product desired to be sprayed. 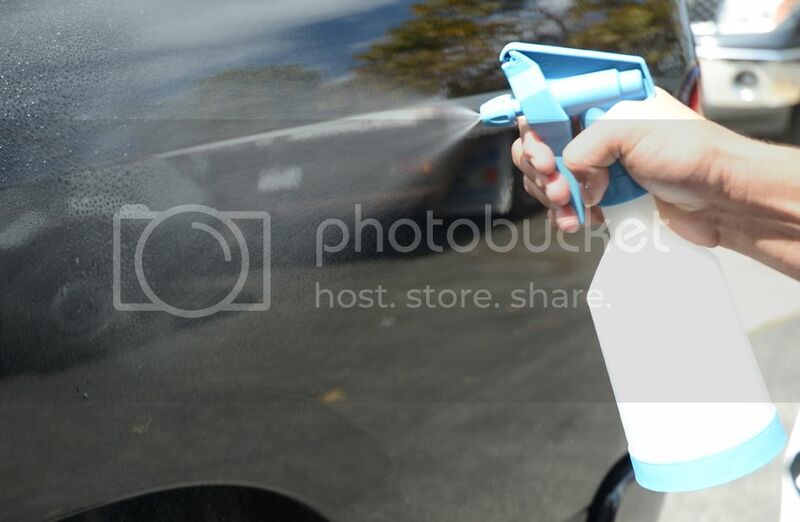 From delivering a large amount of product where you need it all the way to fine misting your favorite detailer. Unique double-action trigger head means a constant, fine spray with half the effort. The essential seals are resistant to most commonly used chemicals. The Cleaning Line family of Mercury PRO+ manual sprayers is a series of small professional sprayers, ranging from 0.5L to 1.0L for washing and cleaning. They are mainly earmarked for home use but also, e.g. in filling stations or in medical facilities. They are simple to use and very efficient. Their high quality and Viton seals guarantee fault- free operation.